IT'S FA Cup weekend so another one that's not the best for punters. As usual my advice is to if possible wait for teams before having a bet on these ties. That's not entirely possible for me but I've not picked too many cup games among my top tips and those I have are reasoned on my English preview post. I've also posted a Scottish preview and games include Celtic v Hamilton and Aberdeen v Kilmarnock while on Sunday it's Livingston v Rangers as Steven Gerrard's men face another tricky test on the plastic. Sunday also sees Hibs travel to St Mirren and Neil Lennon won't be in the dugout after a training-ground bust-up with his players resulted in him being suspended along with No.2 Garry Parker. Good news for Saints who desperately need to take advantage of the situation. Back today and it's a quite a tough card and not really a weekend for big stakes but hopefully I'll land one or two winners. I've included Borussia Monchengladbach in my moneyback fivefold as I was struggling to pick from the UK card. Borussia still have a 100 per cent home record as they welcome Augsburg – I also like Scott's Sampdoria. My Super Single is Clyde -1 at home to Cowdenbeath. Clyde are the form side in League Two with five wins in a row – four of them by at least two goals – and even without top scorer David Goodwillie who has a broken arm they can cover the handicap especially if their opponents have an eye on Wednesday's Scottish Cup tie with Rangers. Check out the match previews on the site and other posts from tipsters and good luck with all of your bets. Well done to all the winners on Friday including kevinmac who tipped Alexis Sanchez to score. My Super Single was a loser as Dundee United struggled in terrible conditions at Ayr and if I'd taken both to score instead of overs at Breda I'd have landed a goals treble. Massive game at Gigg Lane tomorrow Mr F – will put up my thoughts either later or in the morning but ought to be a cracker. I’ve a lot of respect for Lincoln and the way they’ve gone about their business these last few years and they are well up for the big games…but then we’ve been non to shabby at home of late either! Might watch after getting back from the Bankies game in sunny Girvan. I had Clyde marked down for goals midweek mr f, as I reckon Cowdenbeath might have 1 eye on the cup game midweek, but I know goodwillie is out for a wee while atm. Do you think they still have enough? It’s one I’m swithering with, as big cup games on the horizon can go one of 2 ways- try like trojans so you get a shirt, or just try not to get injured. I’m hoping Cowdenbeath have one eye on the Rangers game but Goodwillie’s absence is a little concern. Cracking betbuilder @andymac1980, well in! Cheers Liam. No pens at all but happy with that! my first post last week the single lost but the double did come in so at least I didn’t embarrass myself completely lol. today I’m on over 3.5 MG 6/5 NAP and over 4.5 MG 3/1 Werder Bremen – Frankfurt. Thought it looked good but not so much now at half time. it was over 0.5 fhgls, over 2.5 cards and over 3 Phoenix corners @ 17/20, which came in. There have been 3 or more cards in all of each teams matches this season. Both teams have been carded in all but one of these. BTTS looks good too but as we know, Oz has been a nightmare lately for goals bets. It took 2x – 2 nil comebacks from the Rams in the previous round + extra time and a penalty shootout to overcome Southampton. The first game at home, conceding twice early on and drawing level before halftime, then the replay at Southampton saw them again go 2 nil ahead late on with the game a rubber stamp win, but Derby spoiled the party and drew level late on. It was a nervy draining match for both sides going into extra time and Derby never put a foot wrong in the shootout. Ironically, the player that wreaked havoc amongst the Derby back line Nathan Redmond, was the Southampton Villain that spooned his penalty over the bar. That first game, Southampton had that game in the bag and Derby on the ropes, we fought back, The second game they left it late, we fought back, then the extra time and shootout and a few days later, Derby apparently tired made a few changes and beat Reading 2-1. Reading in all sorts of mess at the bottom end of the league have tripped Derby up time and time again when the momentum has been with Derby. So it was a good win. People forget Derby have had a run of tough games through the Christmas/New year period and this FA cup tie + the next 4 or 5 matches are all winnable. We’ve stuttered our way through the first half of the season, had a decent EFL cup run, and Lampard wants another. I think Derby won’t put a weak side out. A few niggling injuries to keeper Carson and winger Lawrence will see them miss this one, but Roos deputised in Carson’s absence and as he’s had little football, he did very very well. New signing Ashley Cole is not ready to make his debut, but with lots of big earners all out on loan, Derby actually have quite a lean side, so we can’t make that many changes. This previous FA cup replay with the league fixtures has showed we can deal with the extra game and we want to put a nice run together, so I think Derby ought to be putting the hammer down and turning this stuttering form into more wins. With just 5 days until February, every man and his dog is waiting for Derby to hit the wall. Last season we improved on our previous 3’s run in, it wasn’t perfect but it was an improvement. We’ve yet to bring in anybody else to add to the ranks and I don’t think we’re that far off. I’d still be looking to get a better central defender than Keogh and a decent holding midfielder. But that’s it. Derby have NEVER played Accrington Stanley in a competitive game. We’ve goals in us but we’re not great at the back. Stanley beat Ipswich in the previous round and this £400k tv/gate money will relay their car park. Nothing like the romance of the FA cup !! I’m concerned on 2 aspects of Derby’s recent outings in all competitions, we’re not dominating or even equalling possession. Some games its been as low as the low 30%’s. Also, time and time again, Derby have conceded first and spent the rest of the match chasing the game. We should have the quality to beat Stanley all day long and this is a bit of linkage to tie in a 3rd straight win to take us into our next league match. Momentum. I saw Derby at around 17/20 with bet365, I’m sure there’s better prices so shop around. Derby won’t want a replay. We need the game out the way. I also have a feeling it won’t break any records in the corners count, I can see under 12 landing with ease, we just don’t seem to be playing for them. Wilson is dangerous from set pieces, might be worth looking at him to score from outside the box, and statistically, Stanley will score – the stats tell us that. I’m not convinced. they have former brewers goal machine Billy Key leading their charge, but I don’t think they have enough up front to really trouble us. I’ll post up full team news at 11.30 am for the kick off at 12:30pm. Use the early kick off to your advantage, and if it delivers, you still have time to ponder over the 3pm kick off’s such as Nottingham Forest V Wigan. price for the Forest win is about the same @ around 17/20. the pitch is a bit bare, there a ” bit ” of grass, the rest is sand and soil, so like the old baseball ground then. I think Derby have took 2500 fans to face Stanley who are just 31 places and 1 league apart. Accrington Stanley….. Who are they????? Remember the tv advert for milk? They got £10,000 for that namecheck and it kept them afloat. Still convinced of a strong performance from the rams and a good win, even if its played on a farmers field. After reading Hulls write up Bury v Lincoln match. Top of the league clash and a big crowd, could be feisty. Decent H2H’s for the 4 teams involved and all scoring an conceding regularly this season. GL all! Treble pays just above 7/2 Skybet. Also on a penalty trixie in the same three games. All three up pays 142/1 Hills boosted. Mr F are there tips from Damian Walker this weekend… he’s a tipster who really knows his Scottish football. Yes, he does know his stuff and had 2 out of 3 first scorers last week. 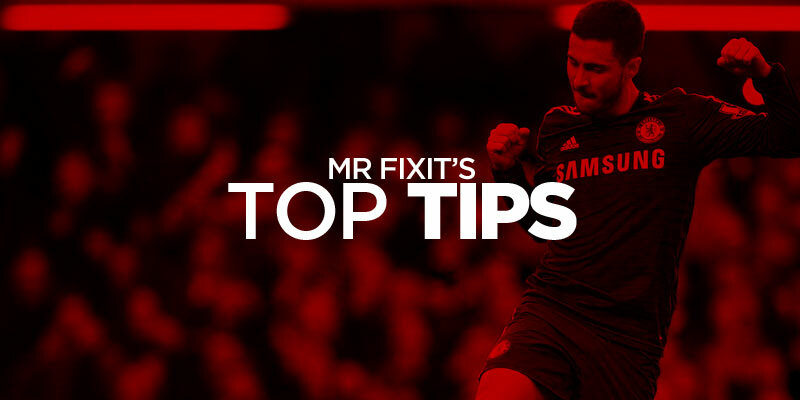 His tips were posted yesterday – search Scottish First Scorer Tips or just scroll down for them. Didn’t get to post my 5 fold last week so doing so this week. 60 or more booking points Valencia v Villareal – 1.91 skybet. In all honesty these all look good with strong referee stats and teams that rank very high in booking points in their leagues. I think the biggest value is in Sevilla v Levante match, so have 2 bets on this. 2 more tomorrow morning Sean, must see a penalty in them! I’m giving oz a miss in the morning Andy. Forms too patchy for all 4 to try and put together a goals bet to be confident on. Lack of pens in Oz today but Bet Builder is a winner! Yeah that’s the only one I was on- not complaining! Me neither but just waiting for them to take it back!? Norwich are a ridiculous price to beat Sheffield Utd today at around 6/4. This is a team that’s 1 point off the top of the league and won 9 out of 14 home games this season despite being decimated with injuries in recent months. They were also robbed of a 10th home win against Derby when floodlight failure turned the game on it’s head. Norwich are slowly getting their key players back. There were concerns over Emi Buendia’s fitness but they’ve announced he will play this morning. He ran the first half against Birmingham last week when Norwich looked excellent. Norwich to win and BTTS @ 7/2. How were Norwich robbed exactly? Their floodlight failed and after taking far too long to find a remedy which according to FA regulations should of been called off, they then restart after a good 20 minutes. The ref stopped the clock straight after Norwich went 3-2 up on 81 minutes, so 9 minutes was played + stoppage time – ( the wtf bit for me was why the ref played 10 mins of injurytime ). From the restart Norwich pulled out every trick in the book from delaying freekicks and tyeing shoelaces to players turning their backs on Norwich players that threw the ball to them to take throw ins. Derby were the only team that wanted to play in those last 19 minutes and after switching out to 3 at the back and bringing in Nugent, it turned that game on a sixpence. Derby equalized before normal time and took just 2 minutes of injurytime to find the winner. The winner came courtesy of silly mistake by Norwich’s right back and Jack Marriott mugging him for a 1 on 1 dink over the keeper. Norwich then threw the kitchen sink at Derby and in the final 30 seconds and on any other day could of scored on three attacks within the same frantic 30 second period. A terrific save forced a corner, a blocked shot and a Rhodes volley hitting the bar. So I don’t know why you think Norwich feel robbed ? Enlighten me. Norwich were 3-2 up after 82 minutes then the floodlights failed. It was then chance for a team talk, change in formation, attacking sub brought on. Norwich went all out defence and Derby went all out attack. I’d say they were robbed by bad luck. In hindsight they could have employed different tactics. Derby of course had a chance of trying to get something out of the game if nothing happened but Norwich would probably have won if not for the floodnights failure. I’d say Norwich blew rather than being robbed. They probably did but my point still stands, the outcome would have almost certainly been different if not for the floodlights failure. Don’t post on here very often as my tips are consistent but only in the crap sense! General concensus is St Johnstone are a big price. Hearts were poor in midweek and got slaughtered by their manager. Maybe they’ll have a response but every chance of St Johnstone scoring. Girvan v Bankies off and it’s so wet that’s probably a relief so looking forward to a day with Jeff and the boys. Think Jeff n the boys wish they’d have gone to Girvan, Mr F, to mop up the way the first halves have gone up n down Scotland n England!! Yeah a disappointing lack of goals. As I said above for some reason I got my stake back for some penalty bets in oz so as it’s essentially a free bet I’m chucking it on my entire over 1.5tgs shortlist. Speculative so I wouldn’t go big if you follow. Gladbach is pretty dominant at home this season. (8W-0D-0L – 23:3 goals). Gladbach scored always 2 or more goals. The statistic says it. So I am supprised that the odds are pretty high in favor for Gladbach. Last 5 matches between these teams were BTTS and o2,5 goals. after a very disappointing result at Bath in front of 1600 adoring fans clad in yellow, 1-2 ahead and andrews skies a penalty, Bath then get a soft one themselves, score it and then get a winner!! GJ experiences defeat for the first time in a league game and our ten game winning streak comes to an end! woking dropped two points too, so a proper missed opportunity! the ball is squarely in their court, point behind, with two games in hand still! will oxford city feel the backlash today, i really hope, and really think so. i’m not going to be daft tho, we have a full squad to choose from and that was another two goals to our impressive haul, i’m just recommending torquay win and over 2.5 goals at evens, add it to all your accas!! ▪Last up is 1/16 match between Donny and Oldham. Donny are flying high in league 1 and last 7 games at home have saw all over 1.5 goals and not one loss with 2-2.5-0.2-2.3-2-0.7-0.2-1 and that’s just at HOME, last 5 in home and away have also seen it achieved. Oldham last 5 away seen this market achieved with 2-1.1-2.1-4.6-0.2-0… Last 5 games saw 4 achieve this and only a 0-0 blank v Forest Green. 4 of last 5 head to head also seen it achieved. There it is for you. Nice builder. Accrington dc worth a go? Looks alright to me for 9/1 Craneguy. I’ll have a couple of £s on it. By any yard stick, Derby were not convincing, even though the stats suggested we dominated. Stanley had a little less luck than they maybe deserved. Also thought the ref wanted to make it ” The Referee Show ” by dishing out 2 yellows in the first 3.5 minutes. Stanley down to 10 men for a 2nd yellow, thought maybe it was a bit harsh, but I guess a player already booked cannot make a trip like that and expect no reaction from the ref. The game opened up a little more after that but not much. Stanley seemed to up it too and a bit of a ” five a side footie ” in the box saw Derby break the deadlock late on for the only goal of the match. Bogle for Derby also deserved his sending off, last man, goal-scoring opportunity, I suppose he took one for the team. Great save low down from Roos to deny Stanley an equaliser. My only surprise was the corners count. Maybe someone never read my script. It scraped in at 11 corners for my advised under 12’s I thought would sail in. Now Derby have a right back dilemma. Wisdom is out shaking off an injury, Bogle straight red carded. So no out and out right back coverage….. Anyway. It SHOULD pave the way now for Notts Forest to get the first home win under Martin O’Neill. Saw the price at 23/20 a few hours ago with bet365. National League – 3 goals in 11 games !! Been eyeing up an Icelandic game all day featuring my favourite ‘corners’ team Valur – very rare but 365 have totally pulled the pre-match corner markets…swines. Early days and as is often the case in SA perhaps that’s the rationale for the bigger than anticipated pricing for goals! Either way I’d be surprised if we didn’t see a bit of action with both sides on the scoresheet as has been the case in the last 3 H2Hs all within a six-month spell from August. Good shout that – Over 1.5 mgs doubles/trebles are such a good bet! Late pen gives you a fivefold mr f well done. Was cursing Doncaster but nice to get a bit of luck. Monaco v dijon. This is a relegation scrap and both teams will be scrapping for points. This should lead to a Fiesty match IMO. Referee averages 4 cards per match. I’m going one higher. 50 or more booking points 2.63 skybet. Lost but made profit Inplay.so alls good. Utter faeces. Should probably leave it for the day but hopeful I may be able to salvage something later on. Well done all winners. Well finished 2-1 in the end to County, really should’ve been more as County completely dominated.. 73% possession. I took them in play when 1-0 down at 12/5, but annoying NAP didn’t land – NB did though. Nice winner Alex. County seem to be winning more comfortable at home than away. cheers Gigi and that’s true – the away wins have been by a single goal of late, saying that they really should’ve scored more goals today given the possession and opportunities. had a few mates at the game who confirmed the same. main thing is they’re consistently winning. hopefully whoever backed stuck to the ‘safer’ straight win pick. PROFIT ON THE DAY SO NO COMPLAINTS, WD ALL WITH A WINNER……………..
Well done all with a winner! Btts + 02.5 – 4/1 – WON! Cracking price! Just over 13/2 – LOST – Wolves 🙁 was a debate all morning either wolves or villa. Well done on the Five Fold Mr F… Unfortunately, I couldn’t resist the price for Edinburgh City and dropped Clyde… Ouch! Cheers, Edinburgh on a bit of a ropey run at the moment. Yeah watching but just back in. Reckon Bankies would take them both. Don’t you just love a late late late WINNER……..Get in. Nice 1 Micky…Everton were on the ropes at the end. Ultimately this is a game that may well be decided by the fact that when an unstoppable force comes head to head with an immovable object there is only one outcome. Well done Hull — got ma pen up 3/1– dipped out on the red card and the double . Still showed a profit. Cheers for flagging the game up. Gracias . AND a Winner once again…Hope someone followed. The more look at this on, the more I like it; no question who the better side is but away from their La Paz lair, The Strongest are always susceptible to a goal. Royal Pari dipped at the end of the Clausura campaign but were one of the surprise packages and perhaps the most telling statistic here is the fact that they have scored at least one goal in every single one of their last 16 competitive matches! Jesus – 5-0 Royal Pari…as weird a result as you’ll get. Not a single second of stoppage time either – very odd, no Strongest goal. Lost. to win 2.0 at 40/1 just fun bet for some interest. Cash out is 12.40 think it makes sense to let it run. Just sat down as the good lady and daughter are out together today. All I’ve done is run after the wee guy tidy up clean up. Still I done some Inplay bets and lurked on here when I get a min. A man’s work is never done as the auld saying goes! Must be a chance of more shocks tomorrow I hope as the big sides not fully focusing on this tourney it would appear. Sure there must be some value bets still. 2-0 – late goal but no 3rd!